AWE Tuning GT2 RS Power Package PORSCHE - Dezod Motorsports Inc - Home of the automotive performance enthusiast since 2002. The GT2 RS Power Package consists of the AWE Tuning GT2 RS exhaust and G.I.A.C. software – in one convenient package. 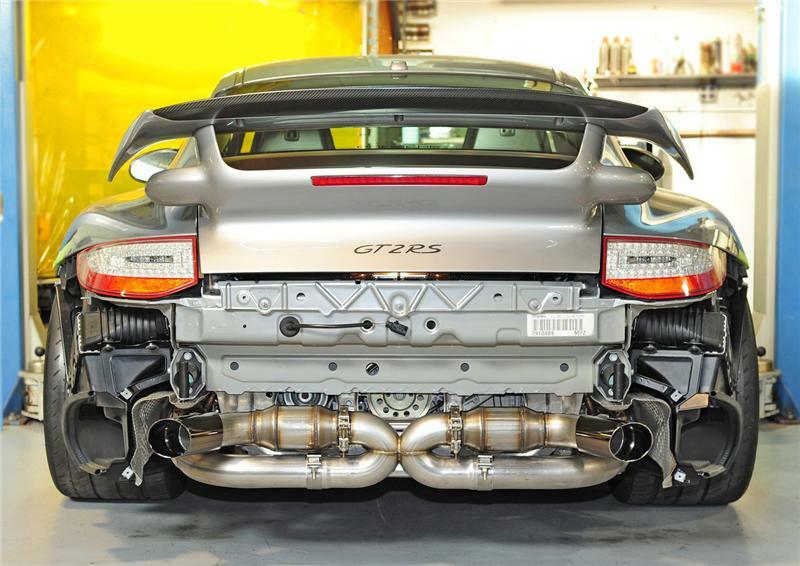 AWE Tuning’s GT2 RS Exhaust was developed side-by-side with G.I.A.C software, so why would you want to split the two apart? The AWE Tuning GT2 RS Power Package Plus takes it one step further, by adding AWE Tuning GT2 RS Headers to the already potent combination of G.I.A.C. software and the AWE Tuning GT2 RS Exhaust. These three pieces were built and designed side-by-side to give your GT2 RS the largest gain possible without upgrading to a larger turbo and intercoolers. Details about each individual pieces can be found in the Exhaust, Header and Software sections of our website.